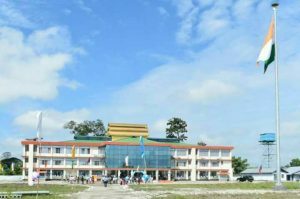 The Collectorate play a pivotal role in the District administration. Collector in the Cadre of IAS/APCS heads the District. The collector acts as the District Magistrate for maintaining Law and Order in his/her jurisdiction. He /She deals mainly with planning and development, law and order, scheduled areas/agency areas, general elections, arms licensing etc.